There are 122 posts in this topic. You are on page 1 of 3. 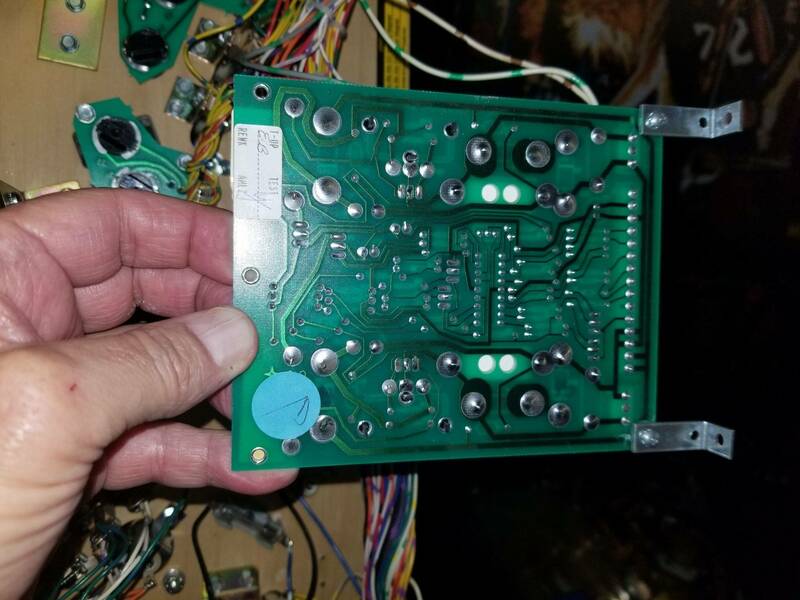 As mentioned in my Twister rewrite journey thread here - https://pinside.com/pinball/forum/topic/twister-software-rewrite-the-journey during the restoration of my own game i came to the conclusion that i should really make a new magnet processor board for this game and goldeneye. The one i have is hacked up to death and even though it works i'm not sure for how long. 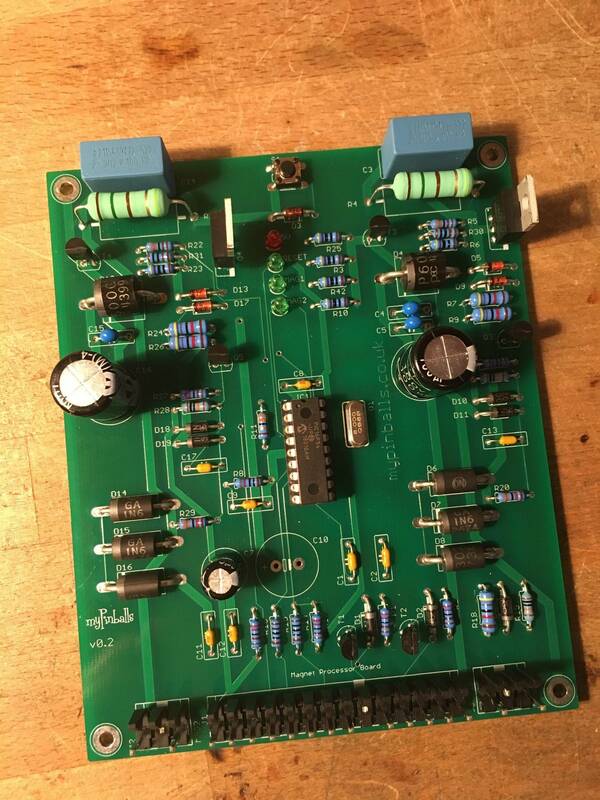 So i've created my own version of the board with some improvements (mosfets drivers, reset switch, reset and power leds etc) and simplifications like i have done with my other pcbs products over the last few years. Here are some pics of the prototype design. If you are interested in this project and would like one once they are available then please let me know in this thread. I am aiming for a price point of around £100 plus shipping though this isn't set yet. applejuice last edited this post 8 months ago. I'm in the process of repairing my magnet board. Last night I replaced a bad resistor hoping that was the final repair to get it working. Not yet. Please put me on the list for Goldeneye. Thanks for taking on this project. Does Lost in Space use the same magnet board? 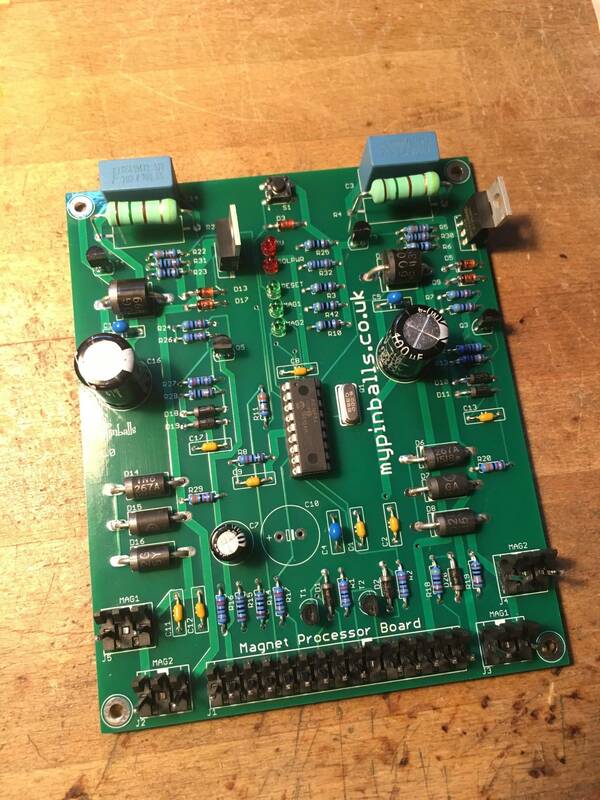 Prototypes of my new magnet processor board have now been ordered I will soon have 5 test boards to mess about with and refine the design, make any tweaks etc. Put me down for a Twister magnet board! Would the pic chip be eliminated, or a different version be used.? Great project. I’d probably be interested in one even though I don’t have either game in my collection. I hear all sorts of issues with this board, and very few resources seem to be available to repair it. I've tried 6 month to get my board running from day one when Goldeneye has enter my Pinball collection. Put me down for a board! I'd be interested in a board and could also test anything with Twister if needed. 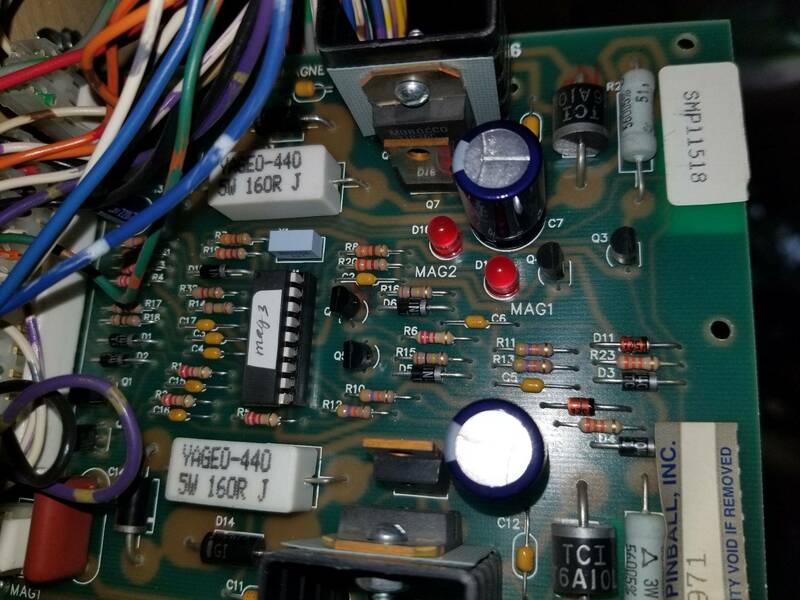 I have both machines and after mag board repairs they work perfectly in play (do not trust the test functions for the mag boards) and, despite the manual stating otherwise, I have never seen MAG1/2 LED illuminate, so they may not be needed on your design. I assume this board would also work with Lost in Space ? 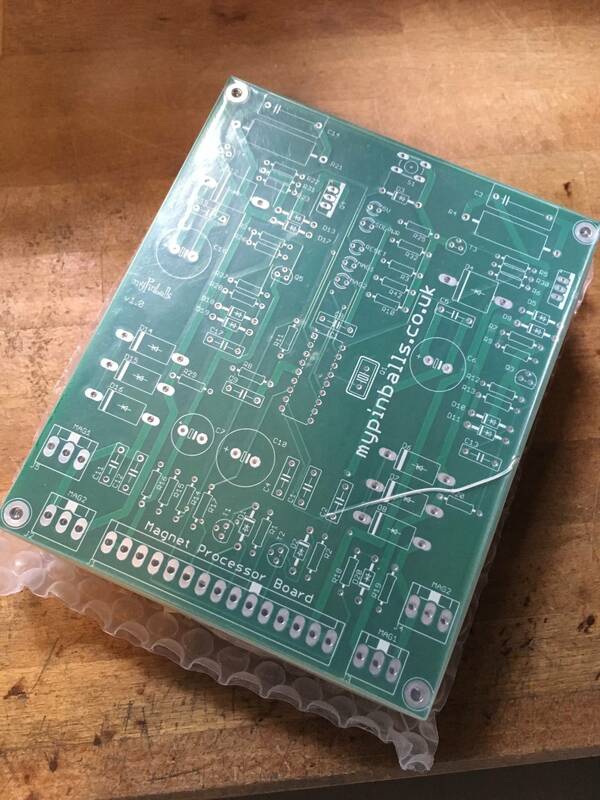 I am hoping to have the first prototypes board blanks here in a few weeks, so i will start to test and post updates here. Regarding Lost in Space specifically, i don't think this game uses this board even though it has a similar/same spinning disc mechanism. 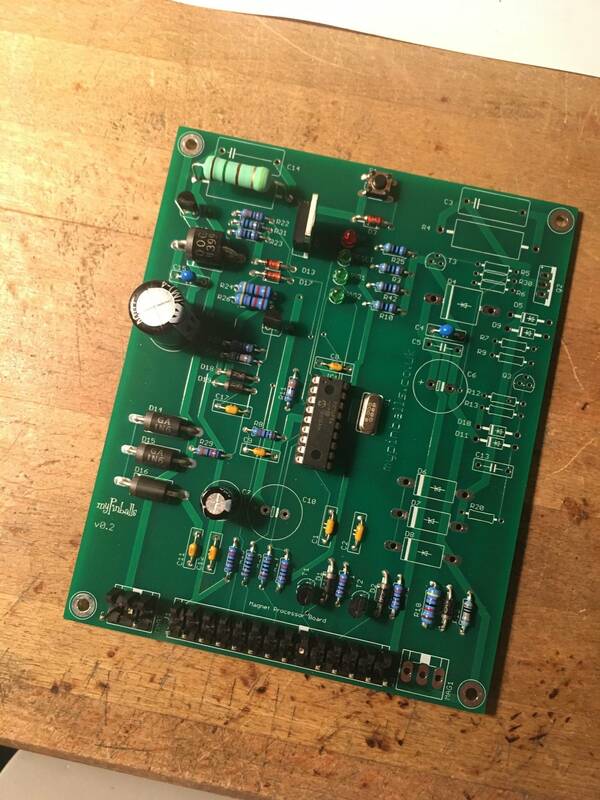 This board is mostly about the ability to detect a ball crossing the magnet as well as having the power switch circuitry. I think on Lost in Space they just controlled the magna disc in a more traditional way from the main driver board and used timing for detect. If theres anymore info on this game though it would be interesting to know. I’ll take a mag board for twister. Super pumped you’re doing this. A huge help to the community. ypurchn last edited this post 10 months ago. I have a working Goldeneye but I enjoy supporting projects like this and can always use back up. Thanks. Added yesterday: Super pumped you’re doing this. A huge help to the community. Bump to keep support up and grab more attention. Mine still works without issue on twister, but doesn't hurt to have spare parts as long as you ship to the states. Were you able to eliminate the pic chip? Or use a different way. It seems that chip is susceptible to quick failure. I got a different pic chip from astill and it still doesn't work. It blows the fuse in F20 and awards the skill shot before shooting, and auto-plunges at that. 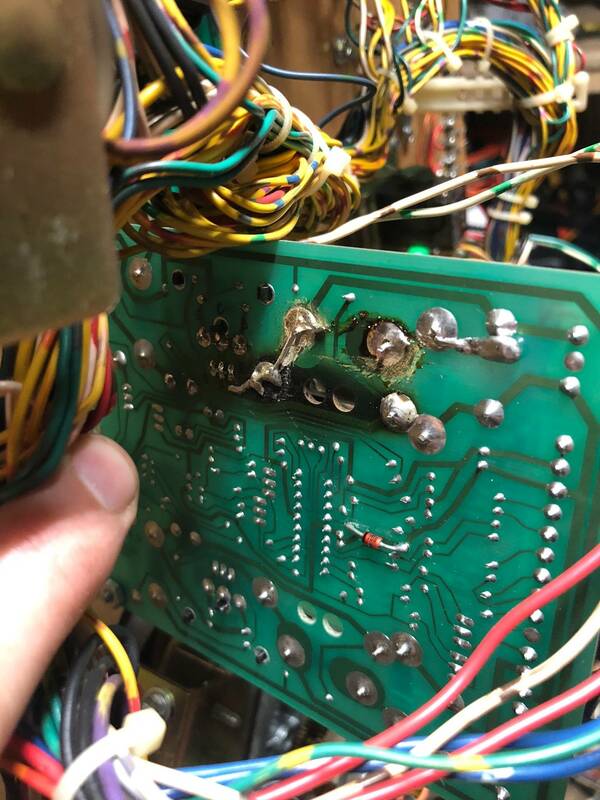 I'm not an electrician but mine has to be a diode/component issue. If I knew what to do I would love to fix it myself! 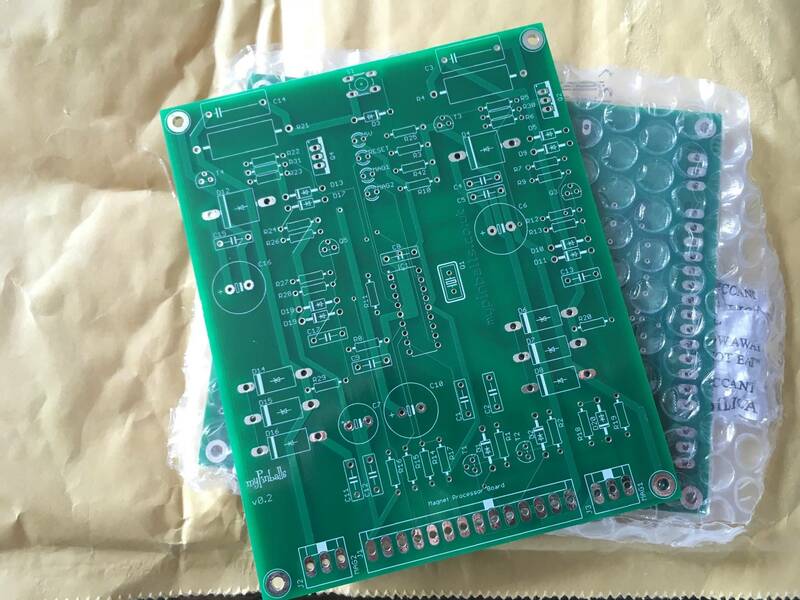 The pic chip is still part of the design, though the pic chips will be brand new latest mircochip parts, not 25 year old parts. 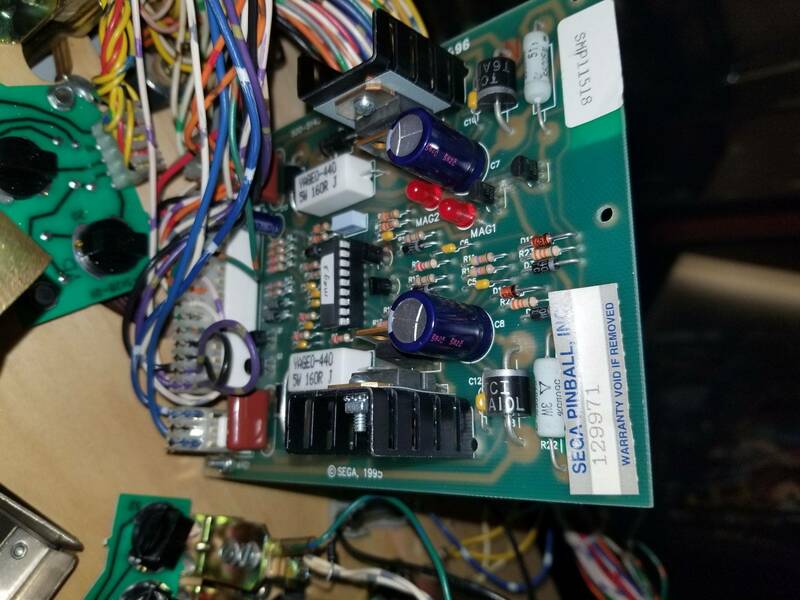 I have improved other areas of the design such as the driver section, but the pic chip holds the logic for the board and is integral to the sega design. I would also be very interested in getting my hands on one of these. Lost In Space doesn't use a magnet board. 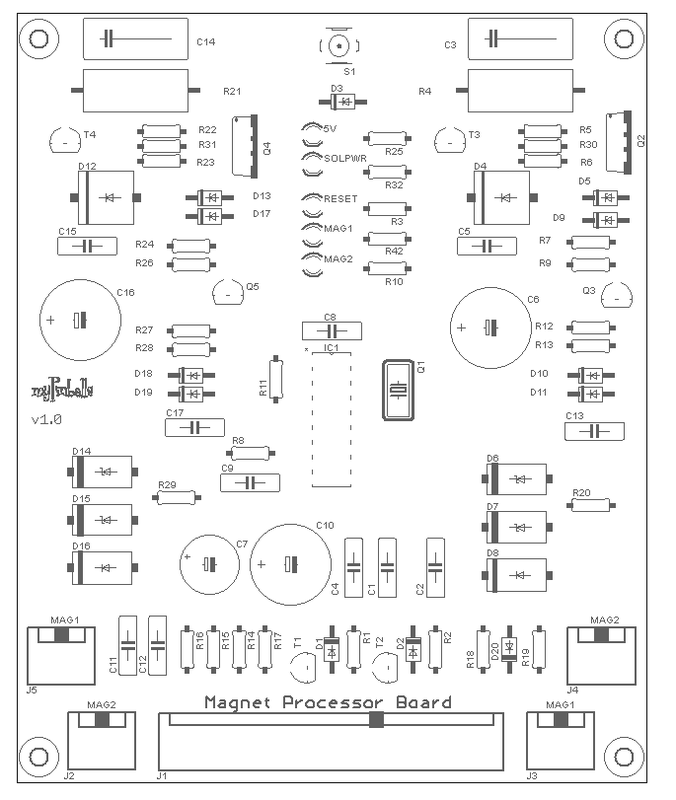 Ok thx....Ill need to look at the spinning disc board under pf then....I thought there was a board that controls the magnet spinning disc that was hard to find. either way I def will be adding a twister and will order one of these. I'm pretty sure the magnet board was only used in Twister and GoldenEye. The disk and magnet in Lost In Space is controlled by the driver board. I interested in this. Need one for sure. 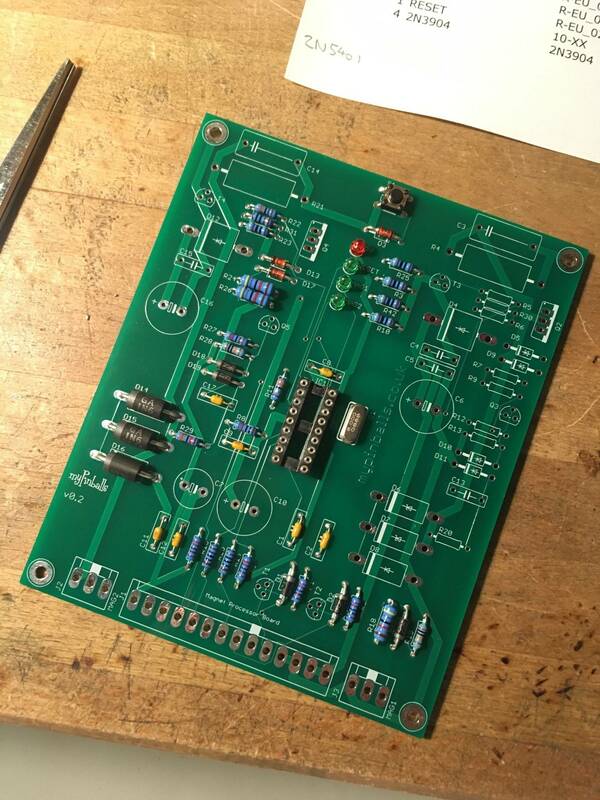 Part way through the first pcbs prototype assembly. I am assembling the processor section and the disc magnet drive and control section first. Then after this is tested i will assemble the diverter section. Theres a few things i learnt today to about how the diverter section is controlled which i'll talk about later. Here's a video on my instagram page of the first board test. Notice that there are now more leds to help you understand what the board is doing. Red led for 5v. Green led below that which tell you when the board is enabled and out of reset. And then the mag2 led which is more like a status led and blinks 3 times when the board is enabled. Previously though it was hard to know whether the board was enabled or idle as the mag2 led flashes then goes off. Now its easy to see. I dont think they engineered a better way. This boards design is the ultimate in detection in my view. I think they just made the games cheaper and simpler using timing. applejuice I think quite a few of us Twister owners would like to hear your thoughts on why many of the magnet boards have failed over time. What have you found to be the most common cause of failure? 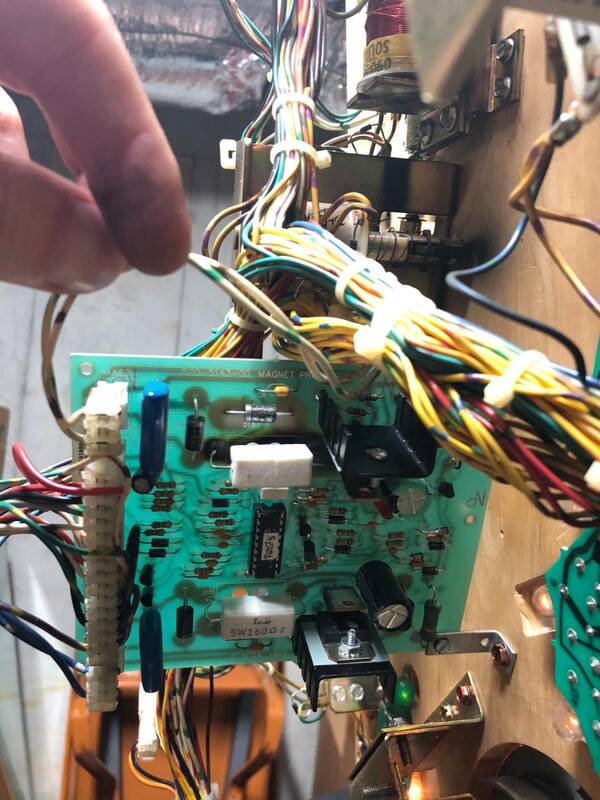 And finally, could you explain the service bulletin updates and what those modifications resolved - such as removing the neon bulb and adding another diode in parallel with an existing one. Great work you're doing and thanks for sharing your progress and your process. No problem i will go through a few things and explain the designs once i get further along, as well as other things that i have learnt regarding how the boards work in twister (and golden eye). I should point out that my design does include all the service bulletin updates as well as my own improvements. I have also been experimenting with what likely failure points there are and what happens if certain components fail or are missing etc. As a quick reply though , i believe there are a few causes of pic failure., Firstly the age of the chip as it is much more complex internally than just a std logic ic. Microchip have improved the production of the chips over time, being flash ram based now, but most complex ics (processors, ram, i/o ics) are borderline when plus 20 years old. Roll all of them into 1 single ic and you have multiple failure points. 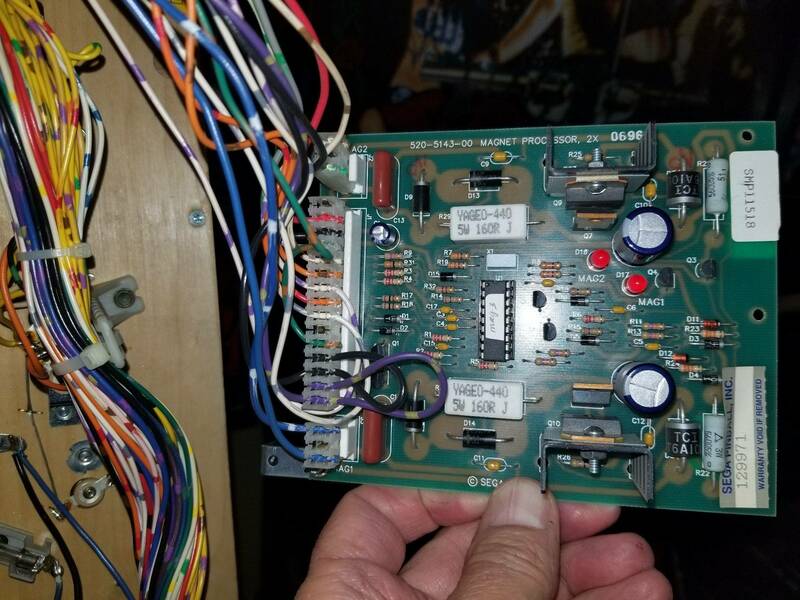 Secondly the pic ic is reset repeatedly during the game cycle (at every ball start) this is so the board can reconfigure itself and keep an accurate picture of the magnets/core for detection. 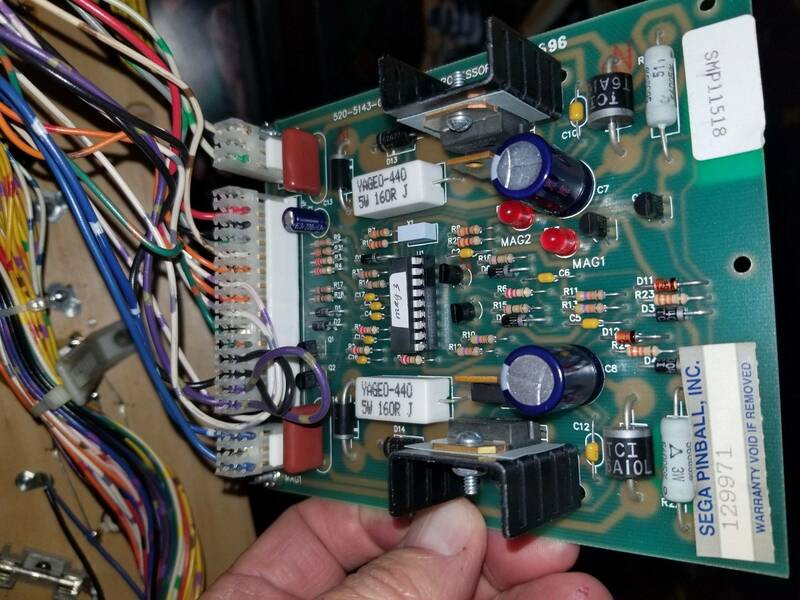 The design of this circuit was improved in the service bulletin as if the chip doesn't come out of reset reliably then the board is disabled. This is another reason why i've included a reset led on board. The reset line on all cpu type chips is a key area. 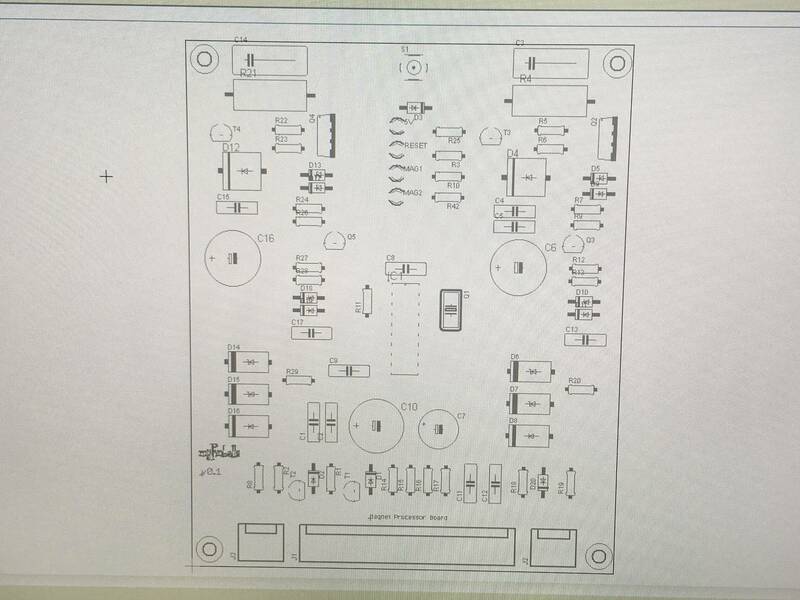 I've also learnt a few more things today on what needs to be functional and installed for the board to work at all. 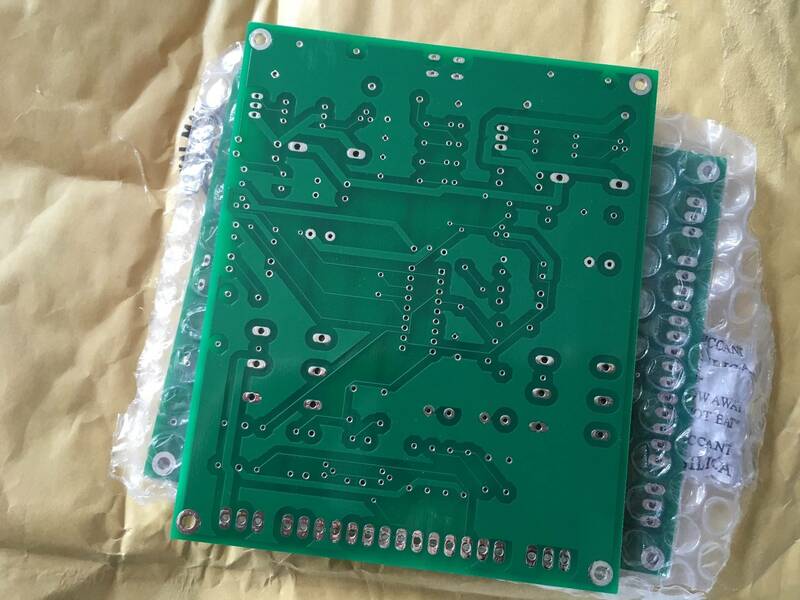 Even though the board has 2 mirrored sections, one section is more important than the other and must be functional before the other will work etc. I believe this is because only 1 section is used to create the references after the board comes out of reset. If this initialisation doesn't not pass then the board will do nothing. I have a question for owners of original boards. 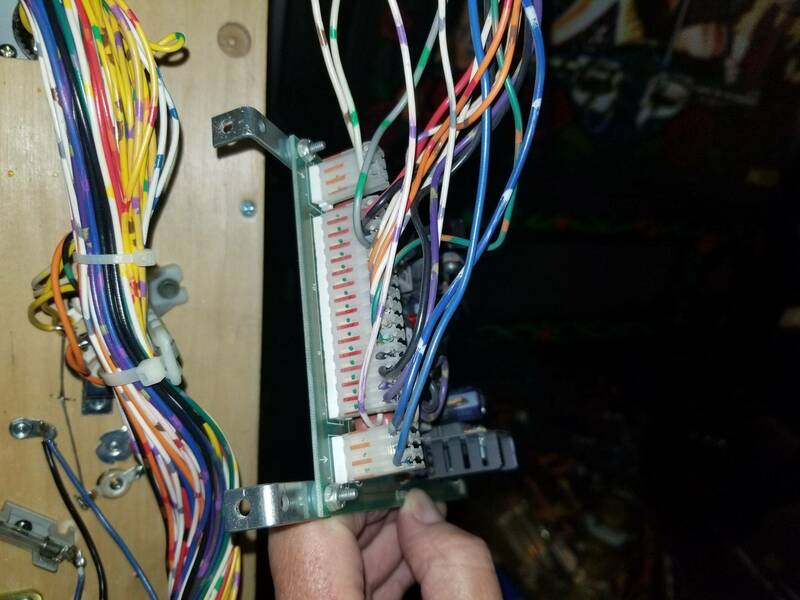 How many pins is the j1 connector on your game. 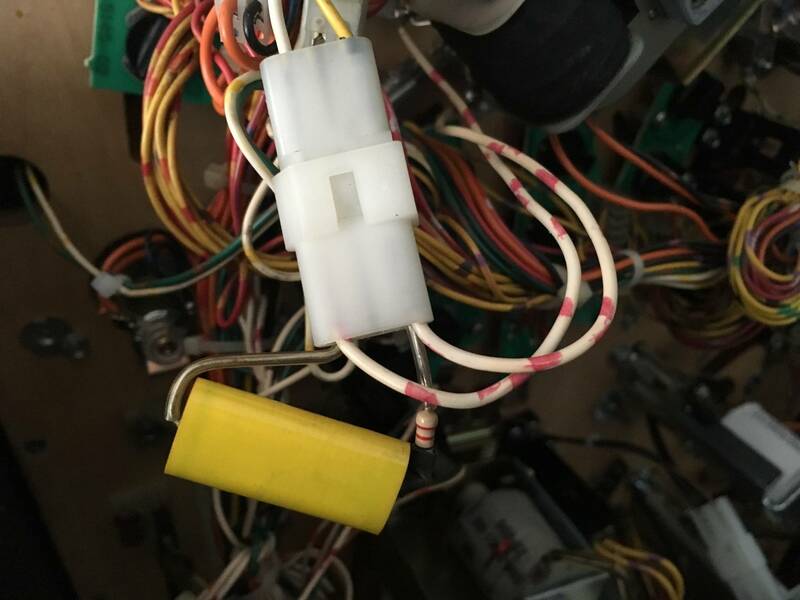 14 pins or 15 pins? 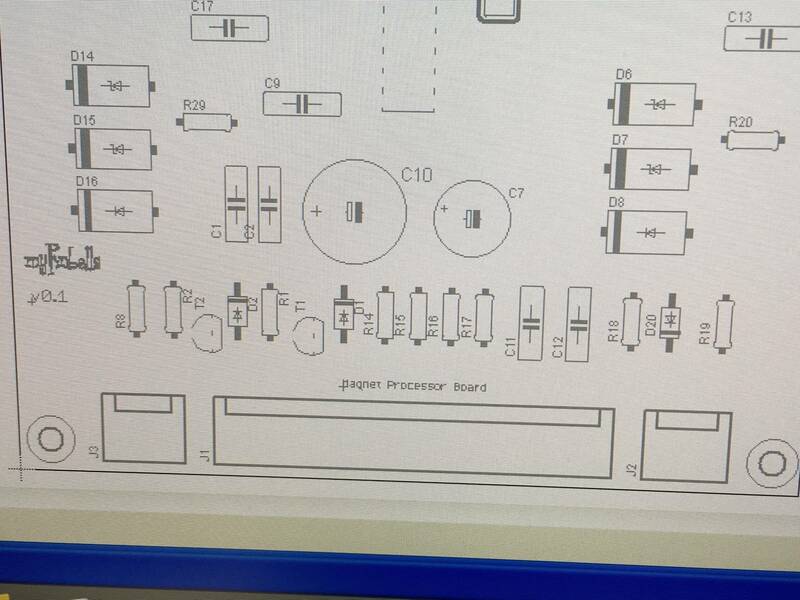 The schematic says 14, but the original board i have has 15, but my connector only has 14. 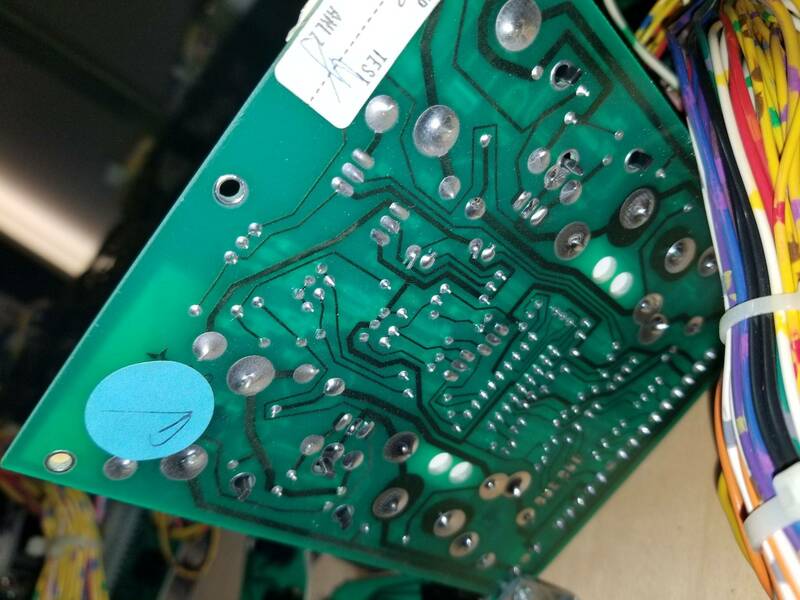 Possibly pin15 should be another +5v (same as pin14) Let me know what you board and connector is like. Also send pic of how your board mounts to your playfield underside. I just took these pics for you since I had the magnet board removed. Please let me know if you need any other specific pics. Thanks. 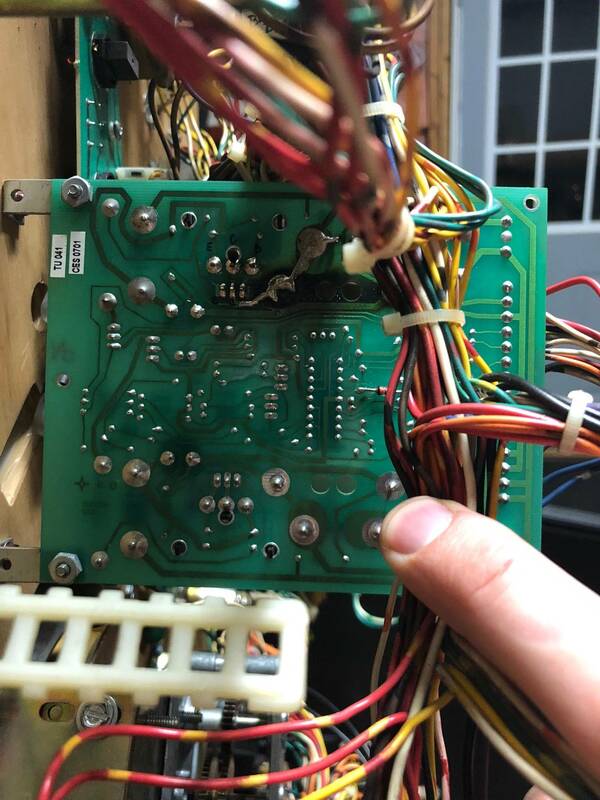 Looks like the connector is 15 pins but pin 15 itself isn't populated on the connector even though the board has 5v at pin 15. 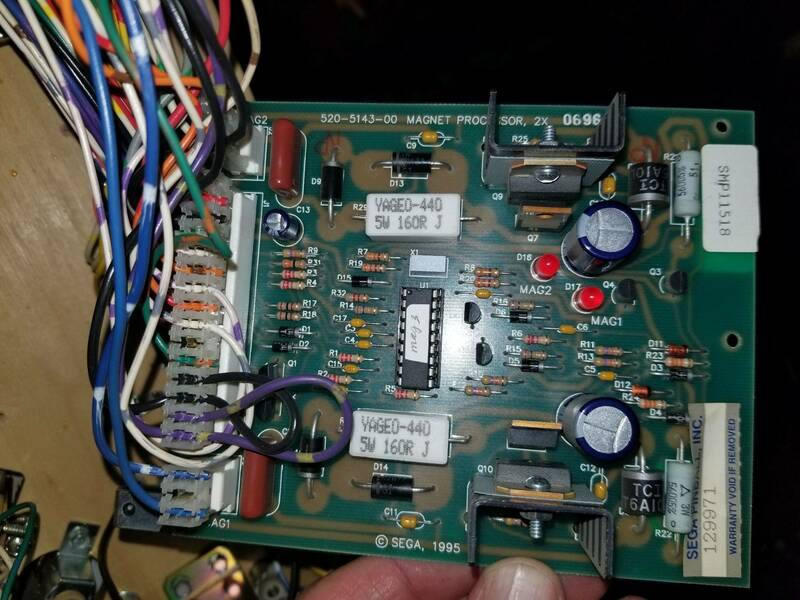 Anyone got a goldeneye with board that they can take some pics of, so i can see how that board is connected and mounted? More tests done today and the sense and grab is super responsive with the new board. Much better than my old tired board. Here's my Goldeneye board. Let me know if you need anything else. applejuice you are my personal hero, and Bill Paxton would be proud. I can't wait till I can get my hands on one of these. 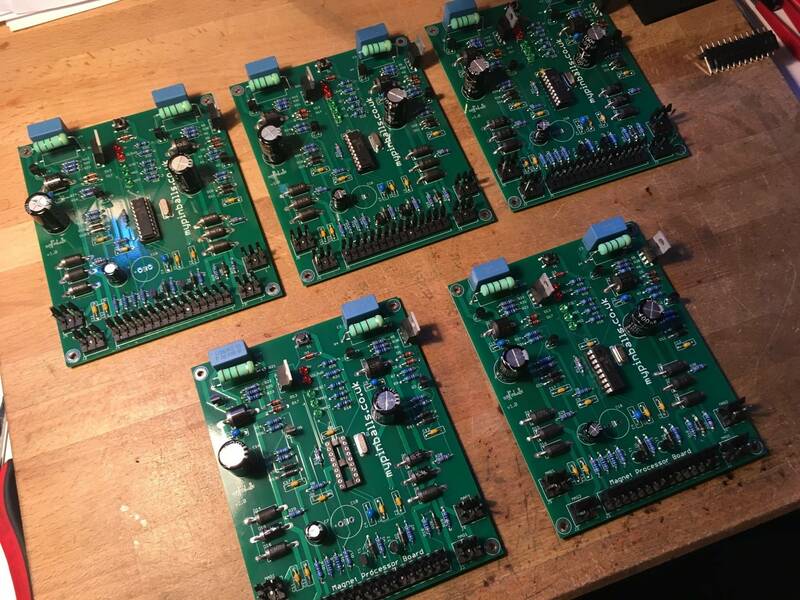 Working through my updates for the first run of the boards. Initial run will be 25 i think. Have a few parts to move into better positions and also add a 50v led. I am also play testing the board in my game.